Due to popular demand for an Alcone Laplace with Scan-Speak ring radiator R2604/832000 we have added the Laplace XT to our line of products. Our customers asked for a speaker with a larger cone than the one that comes with Lagrange but not as expensive as the Pascal. The Laplace XT is similar to the Pascal, contains, however, just one Alcone AC 6.5 HE and a Scan-Speak ring radiator R2604/832000. The Laplace XT is also well suited for Home Cinema; many customers combine this speaker with it Alcone Dirac XT as centre - if a screen is employed, some use a symmetrically built Pascal (building instruction upon request). 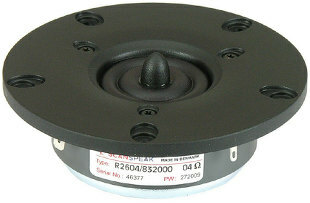 The reasonably priced Midi or Mini 65 are often being used as rear speakers. 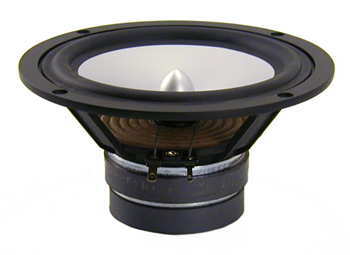 Subwoofer: a powerful sub like the Sub 10-60 is well suited.